EPC School District is helping to encourage literacy during the month of April by celebrating School Library Month. EPC Elementary Librarian Brandy Carlisle has been working with the community to spearhead the project. 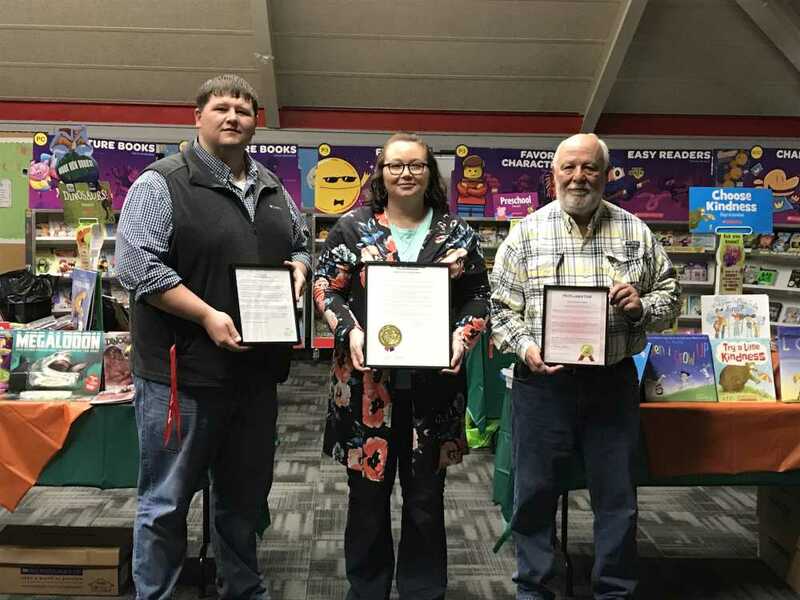 She has also gotten the mayors of Tyronza and Lepanto, as well as Governor Asa Hutchinson, to make proclamations declaring April School Library Month. "I'm very proud of everyone for coming together," Carlisle said. "It takes a community." Carlisle said one of the keys to encourage kids to read is not just getting books in their hands but making sure those books are the ones those kids are interested in. "No matter who you are or where you go, nothing is more important that you learn in school than learning to read," Tyronza Mayor Charles Glover said. "When you can get them hooked on reading, that's the best gift they'll every have." Regarding Library Month activities, Carlisle said they kicked it off April 1 by giving each classroom a new book. Then they started a reading challenge for the students. Teachers have also recorded videos of themselves talking about their favorite books, which the kids have enjoyed. Carlisle said they are also planning a family night for both campuses--April 15 for Lepanto Elementary and April 23 for Tyronza Elementary--both of which will focus on reading. Carlisle said they are also working on a project for this summer called the Warrior Book Bus. This bus will go through Tyronza and Lepanto on bus routes once a week during the summer to hand out books and snacks to the kids. "They will be able to get a book a week throughout the summer so they can start their own home library," Carlisle said. In addition to the books the school is purchasing, the Tyronza Parent Teacher Organization and the Lepanto Warrior Parent Association are donating 250 book each for the book bus. The dates for the book bus are to be announced at a later date. Carlisle said they have also passed out library cards to students for the Goldsby Library in Lepanto. "I talked to the librarian, and she said they were coming in like crazy," Carlisle said. "I think it's great that the communities are coming together to get these kids to love reading," Carlisle said. Lepanto Mayor Earnie Hill said, "That's what I've been pushing for: more community involvement." He added that he could already tell a difference with his own daughter, who has fallen in love with reading. "The youth are the future of our town, so anything we can do to give them something positive is a good thing," Hill said.